This picture features car 7. Note the lack of a front door. Passengers both entered and exited the car at the rear, and the conductor controlled access and collected fares. 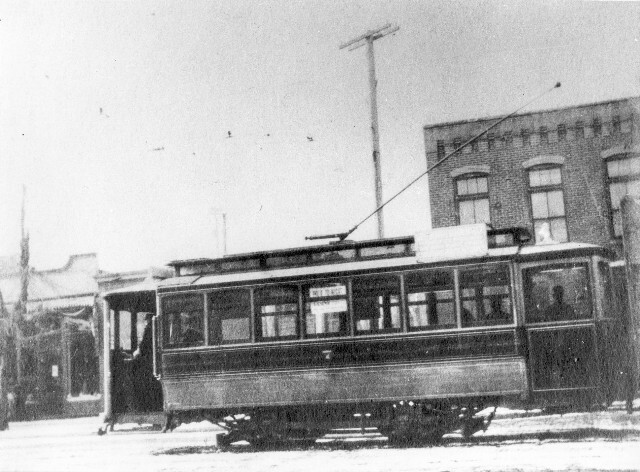 This configuration was typical of the small-town streetcars in central Illinois prior to about 1910.